We got a sneak of it last week. Now we’ve seen the first matchup. Gross. I mean, look at this Gumby uniform! Don’t try to mask your shame with the chrome helmets. 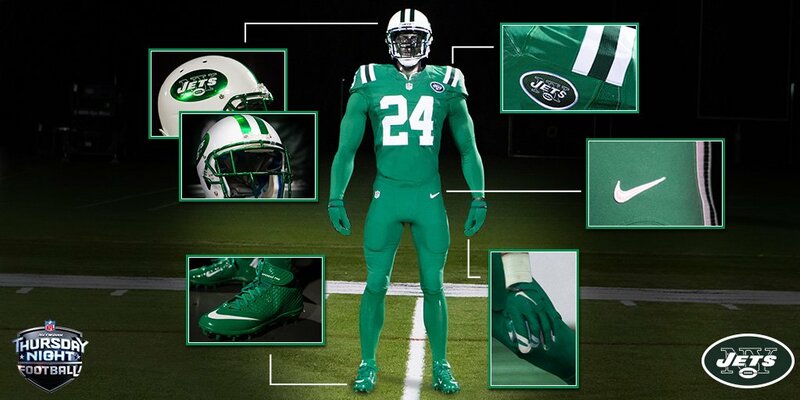 This entry was posted in Buffalo Bills, New Sets, New York Jets, NFL, Uniforms & Design and tagged Color Rush, Gumby, Nike, Thursday Night Football. Bookmark the permalink.